NEW EDIT: As of Spring Boot 1.4.0, faking of Spring Beans is supported natively via annotation @MockBean. Read Spring Boot docs for more info. OLD EDIT: Here is better example how to mock Spring bean. I work with Spring several years. But I was always frustrated with how messy can XML configuration become. As various annotations and possibilities of Java configuration were popping up, I started to enjoy programming with Spring. That is why I strongly entourage using Java configuration. In my opinion, XML configuration is suitable only when you need to have visualized Spring Integration or Spring Batch flow. Hopefully Spring Tool Suite will be able to visualize Java configurations for these frameworks also. One of the nasty aspects of XML configuration is that it often leads to huge XML configuration files. Developers therefore often create test context configuration for integration testing. But what is the purpose of integration testing, when there isn’t production wiring tested? Such integration test has very little value. So I was always trying to design my production contexts in testable fashion. I except that when you are creating new project / module you would avoid XML configuration as much as possible. So with Java configuration you can create Spring configuration per module / package and scan them in main context (@Configuration is also candidate for component scanning). This way you can naturally create islands Spring beans. These islands can be easily tested in isolation. But I have to admit that it’s not always possible to test production Java configuration as is. Rarely you need to amend behavior or spy on certain beans. There is library for it called Springockito (EDIT: Springokito link dissapeared). To be honest I didn’t use it so far, because I always try to design Spring configuration to avoid need for mocking. Looking at Springockito pace of development (EDIT: Springokito link dissapeared) and number of open issues (EDIT: Springokito link dissapeared), I would be little bit worried to introduce it into my test suite stack. Fact that last release was done before Spring 4 release brings up questions like “Is it possible to easily integrate it with Spring 4?”. I don’t know, because I didn’t try it. I prefer pure Spring approach if I need to mock Spring bean in integration test. Spring provides @Primary annotation for specifying which bean should be preferred in the case when two beans with same type are registered. This is handy because you can override production bean with fake bean in integration test. Let’s explore this approach and some pitfalls on examples. AddressDao singleton bean instance is injected into AddressService. AddressService is similarly used in UserService. And exclude @BeanMock annotation from component scanning in main Spring configuration. @SpringApplicationConfigration annotation has two parameters. First (Application.class) declares Spring configuration under test. Second parameter (AddressServiceSpy.class) specifies fake bean that will be loaded for our testing into Spring IoC container. It’s obvious that we can use as many bean fakes as needed, but you don’t want to have many bean fakes. This approach should be used rarely and if you observe yourself using such mocking often, you are probably having serious problem with tight coupling in your application or within your development team in general. TDD methodology should help you target this problem. Bear in mind: “Less mocking is always better!”. So consider production design changes that allow for lower usage of mocks. This applies also for unit testing. Within integration test we can autowire this spy bean and use it for various verifications. In this case we verified if testing method userService.getUserDetails called method addressService.getAddressForUser with parameter “john”. We load mocked bean via @SpringApplicationConfiguration‘s parameter. In test method, we stub addressDao.readAddress method to return “5 Bright Corner” string when “john” is passed to it as parameter. But bear in mind that recorded behavior can be carried to different integration test via Spring context. We don’t want tests affecting each other. So you can avoid future problems in your test suite by reseting mocks after test. This is done in method resetMock. When I needed to do prototyping, proof of concept or play with some new technology in free time, starting new project was always a little annoying barrier with Maven. Have to say that setting up Maven project is not hard and you can use Maven Archetypes. But Archetypes are often out of date. Who wants to play with old technologies? So I always end up wiring in dependencies I wanted to play with. Not very productive spent time. But than Spring Boot came to my way. I fell in love. In last few months I created at least 50 small playground projects, prototypes with Spring Boot. Also incorporated it at work. It’s just perfect for prototyping, learning, microservices, web, batch, enterprise, message flow or command line applications. You have to be dinosaur or be blind not to evaluate Spring Boot for your next Spring project. And when you finish evaluate it, you will go for it. I promise. I feel a need to highlight how easy is Black Box Testing of Spring Boot microservice. Black Box Testing refers to testing without any poking with application artifact. Such testing can be called also integration testing. You can also perform performance or stress testing way I am going to demonstrate. Spring Boot Microservice is usually web application with embedded Tomcat. So it is executed as JAR from command line. There is possibility to convert Spring Boot project into WAR artifact, that can be hosted on shared Servlet container. But we don’t want that now. It’s better when microservice has its own little embedded container. If everything went OK, Spring Boot microservice JAR artifact is now installed in our local Maven repository. In serious Java development, it would be rather installed into shared repository (e.g. Artifactory, Nexus,… ). When our microservice is installed, we can focus on testing project. It is also Maven and Spring Boot based. It downloads microservice artifact into target/dependency directory by default. As you can see, it’s hooked to compile phase of Maven lifecycle, so that downloaded artifact is available during test phase. Artifact version is stripped from version information. We use latest version. It makes usage of JAR artifact easier during testing. Readers skilled with Maven may notice missing plugin version. Spring Boot driven project is inherited from parent Maven project called spring-boot-starter-parent. It contains versions of main Maven plugins. This is one of the Spring Boot’s opinionated aspects. I like it, because it provides stable dependencies matrix. You can change the version if you need. This class executes given process JAR based on given file name. Location is hard-coded to target/dependency directory, where maven-dependency-plugin located our artifact. Standard and error outputs are redirected to file. Next class needed for testing is DTO (Data transfer object). It is simple POJO that will be used for deserialization from JSON. I use Lombok project to reduce boilerplate code needed for getters, setters, hashCode and equals. It executes Spring Boot microservice process first and wait unit it starts. To verify if microservice is started, it sends HTTP request to URL where it’s expected. The service is ready for testing after first successful response. Microservice should send simple greeting JSON response for HTTP GET request. Deserialization from JSON into our Greeting DTO is verified at the end of the test. Skilled Java developer following TDD tries to minimize their testability impacts. Don’t want to dive into techniques to enhance testability. They are explained well on Misko Hevery’s blog. Some developers argue that we have frameworks today (like PowerMock or JMockIt) that are able mock these testability killers. And it’s true. So should we throw factory methods to bin and start using static or singleton classes widely? The answer is NO. Reason is in Java language nature. There isn’t way how to mock mentioned constructs using Java features like inheritance, polymorphism or reflection. Byte-code manipulation is needed. And that is the problem. Upgraded to Javassist 3.17.1-GA, this means that PowerMock works in Java 7! PowerMock site says: “Please note that PowerMock is mainly intended for people with expert knowledge in unit testing. Putting it in the hands of junior developers may cause more harm than good”. I tried to use PowerMock and JMockIt to test some legacy code. The result weren’t acceptable for me. Sometimes there were some strange crashes or clash with JaCoCo test coverage tool (have to say that I didn’t give JMockIt deep chance and abandoned on it immediately after first problems). 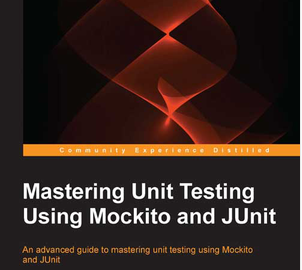 At the end I always decided to change the production code to enhance testability and use plain Mockito. If it would be up to me I would exclude byte-code manipulation testing frameworks from technology stack completely. Java8 is coming soon and potential migration of unit tests can be a big problem if it is used widely. It would be ridiculous to wait 1.5 years for Java8 update because of testing framework. I respect PowerMock and JMockIt projects and people behind them. They are sometimes valuable in cases when you have to deal with legacy code or third party libraries.